A Reddit user who has leaked accurate Rainbow Six Siege information in the past has found references to what appears to be a new breacher operator in the game’s latest client build. There’s not a lot of information to go on, but the words “BlowTorch” and “WeaponBlowTorchSystem” both appear in the dump of the new client data dump. Naturally, any unimplemented features discovered in a data dump are subject to change, and may never wind up in the game at all. 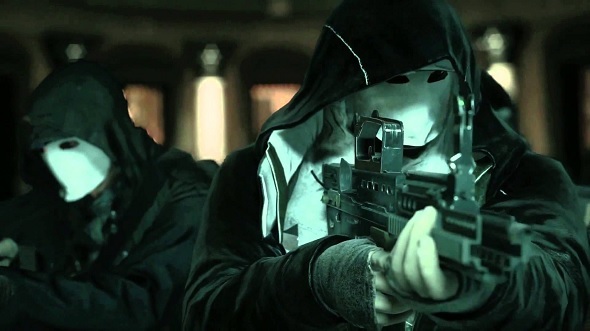 However, Ubisoft has previously indicated that another breacher may be on the way. During the Operation Para Bellum reveal event during last weekend’s Season 7 pro league finals in Atlantic City, Siege’s marketing director Alex Remy said the team was working on a new operator who has breaching abilities. Here are the best multiplayer games on PC. Remy didn’t say whether the new operator would be a hard breacher, capable of cutting through reinforced walls like Hibana or Thermite, or a soft breacher, who can only bust through normal walls. The mention of a blowtorch in the data dump, however, seems to indicate hard breaching capability. It makes little sense to use a blowtorch on standard drywall – but you could definitely use one on the metal reinforcement panels. A new hard breacher would be an important addition to the attacker roster in Siege. With the introduction of the pick and ban system, defending teams will be able to take both hard breachers out of play. With a third hard breaching option, attackers won’t necessarily be funneled into specific paths toward objectives. The dataminealso indicatesthat event specific loot packs are coming back to Rainbow Six Siege. Two new packs are referenced in the data, a Summer18 pack and a Twitch18, which may replace the existing Twitch drops (like tournament-specific charms) in order to encourage more viewers. It’s not clear from the data what the new packs will contain or how they’ll be implemented; however, several redditors seem pretty sure these will be paid for with cash.